Welcome to the website of Bronwyn W. Williams, Research Curator of Non-Molluscan Invertebrates at the North Carolina Museum of Natural Sciences, and as such, the home of the NCSM Non-Molluscan Invertebrate Unit. ​Follow us on Twitter @BWWilliamsLab and on the NCSM Invertebrates Facebook page. 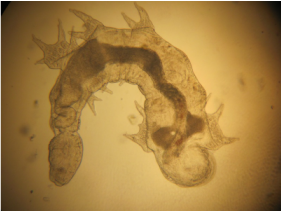 Research in the Unit focuses primarily on crayfishes and two groups of obligate crayfish symbionts, branchiobdellidans and entocytherid ostracods. Keep up with our results here. Crayfishes are common yet important components of North American freshwater ecosystems. 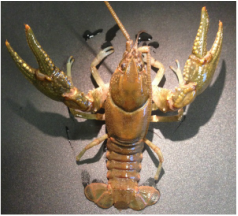 Find out more about crayfishes and crayfish symbionts in your area. The NCSM Non-Molluscan Invertebrate Collection houses more than 250,000 specimens across numerous phyla. Discover more about the Collection and our curation and education efforts here.